It’s finally here folks! A Video Playlist filled with wonderful African Music, mixed and put together by our very own Music Editor Shirlene Alusa Brown, for your listening and viewing pleasure. 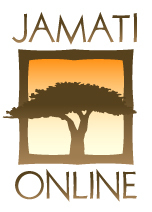 Enjoy this wonderful collection….and be sure to check out Jamati.com for daily entertainment news, interviews and commentary about your favorite as well as up and coming Diaspora Stars!